Joseph Farah – Ignorance, Pandering or Deception? 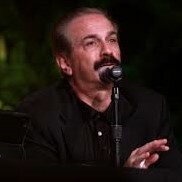 Joseph Farah is the publisher of the popular news website World Net Daily. He is also as you might guess an ardent Zionist. After reading this recent column I have to wonder – is he ignorant, is he pandering to his Jewish friends or is he purposely deceiving gullible Christians? Isaiah 49 is universally understood to be a Messianic prophecy. It is about the Messiah, Jesus of Nazareth. It is about a spiritual light, a spiritual restoration and a spiritual salvation. One thing that Isaiah 49 is NOT about is the modern geopolitical state of Israel. In changing the meaning of Isaiah 49, Joseph Farah follows the lead of Jewish Rabbi’s who deny the Lordship of Christ. In order to deceive the people into rejecting Jesus they change the subject of these prophecies from Christ to the nation of Israel. Thus in this case the ‘light to the gentiles and salvation to the whole earth’ become the duty and purpose of the modern Zionist state, not Christ who they insist has not yet come.